All FDA-regulated facilities must ensure compliance with the Food Safety and Modernization Act (FSMA) of 2011. With specific rules of the legislation now going into effect, it’s critical for food and beverage manufacturers to understand and stay current with all relevant standards. This checklist is designed to help you write an effective food safety plan required by FSMA. Compliance with The Food Safety and Modernization Act (FSMA) requires implementation of a Hazard Analysis and Critical Control Points (HAACP) management system. This system provides tools for food manufacturers to analyze the potential for and to control biological, chemical, and physical hazards that can exist throughout the manufacturing plant. 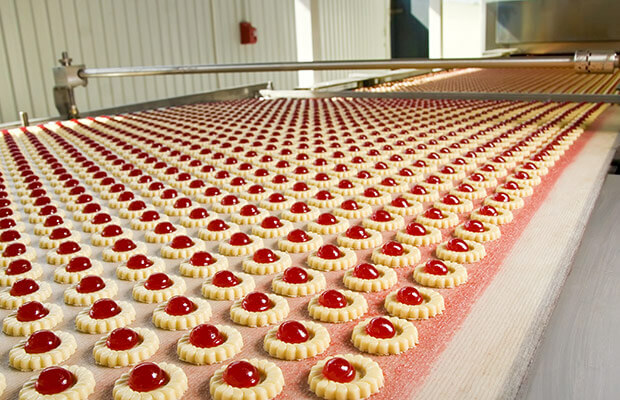 Identifying the 6 primary zones of a food and beverage manufacturing facility is one of the first steps in accomplishing your HAACP and FSMA compliance goals. What follows is a list of these numbered zones, starting from the outside moving inward to where food is produced. Within each zone, specific areas are identified where issues are known to occur. From the parking lot to the front entrance, unexpected problems outside a food and beverage facility can have serious consequences. Issue: Potholes, cracks and settled areas in concrete can create trip hazards, and standing water can attract pests. Issue: Broken windows and gaps around doors can create pest control problems, and inhibit your ability to control indoor temperatures. Issue: Facility security is essential to keep employees safe and to prevent theft or product contamination. Check for openings in fences and make sure surveillance systems are in working order and all locks are intact. Issue: To ensure regulatory compliance, all parking areas must be properly designated and any rules about pets, smoking or firearms must be posted. Issue: To ensure safety and security, all facilities must have adequate exterior day and night lighting for sidewalks, the building perimeter and parking lots. Issue: Standing water is a breeding ground for pests and salmonella, and can also signal drainage problems. The dock and warehouse can be vulnerable to everything from pests to chemical contaminants. Controlling this zone is critical to maintaining product integrity and keeping people safe. Issue: Floors should be properly maintained with all hazardous areas identified and labeled, and all cracks sealed. Issue: Lighting should be adequate, properly covered and shatterproof. Fixtures must be on a regular cleaning schedule. Issue: Damaged pipes and sealant gaps can lead to combustible dust problems, pest infiltration and contaminants from outside air. Issue: Bug lights attract insects and should be for interior use only. They must be regularly cleaned and maintained. Issue: Wood can be a breeding ground for pests and a leaky drum can lead to contamination. Issue: Non-food products and chemicals near the dock or warehouse can be contamination issue or present fire hazards. Issue: Pests, dirt and contaminates entering via the dock may migrate into more restrictive zones and cause a food safety issue. Many potential sources of contamination can enter the food safety zones via employees and the items they carry. Evaluate areas where personal belongings are stored. Issue: Utensils in employee kitchen or break areas should be clean, maintained and color-coded to prevent cross-contamination. Issue: All cleaners and chemicals should be food safe and properly stored in locked cabinets to prevent food contamination. Issue: Zones should be clearly identified, as well as any appropriate access control, PPE requirements, FDA compliance, GMP compliance, company rules and emergency evacuation specific to that zone. Issue: Drains, waste management, cleaning and general sanitation programs should be maintained to prevent breeding of bacteria, physical contaminants, and trip hazards. Issue: To be in regulatory compliance, walls, ceilings and floors should be free of peeling paint and must be clean, caulked and sealed. Issue: To be in regulation compliance and to prevent physical damage, protection must be provided for protruding pipes and electrical boxes. All palletized products must be 6” away from walls. Issue: First aid must be readily available in all zones to ensure regulatory compliance and employee safety. Issue: To prevent contamination between zones, an appropriate number of accessible wash stations must be accessible. Issue: To ensure employee safety and protection from employee-caused contamination, the right personal protective equipment (PPE) must be available and in use. Issue: To be in regulation compliance and to ensure employee safety, all bathrooms must be clean, sanitary and equipped with proper amenities. Locker rooms must be clean and well organized. The handling of ingredients and preparation of food products in this area could result in cross-contamination without proper precautions. 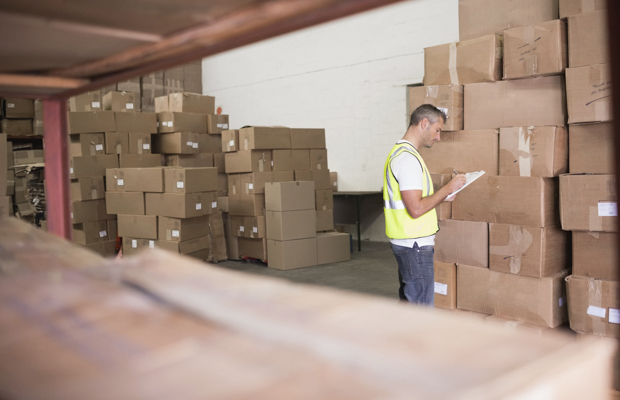 Issue: To prevent tampering with product, piping and utilities used for unloading products, such as liquids or powders, should be clearly marked and labeled. Issue: To ensure food security and safety as well as employee safety, signage should be posted for controlled access and procedural information. Issue: To be in regulation compliance and to ensure employee safety, first aid should be readily available and accessible. Issue: To ensure food safety and regulatory compliance, all food and ingredients should be stored off the floor and away from walls or wood benches. Issue: To prevent contamination and ensure air quality, all air vents and exhausts must be cleaned regularly. Issue: To be in regulation compliance and to ensure food safety and product consistency, quality assurance labs must be clean and well equipped. Issue: To prevent product contamination, combustible dust, and compressed air leaks, maintain proper utilities and systems for compressed air, water and backflow. Check all water and compressed air lines for leaks, and make sure all drains are working properly and are cleaned on a regular schedule. Issue: To prevent product contamination, make sure all fork trucks pallet jacks and dollies are completely clean. Issue: To prevent product contamination, make sure you have a method for regular cleaning of any hoses used for product transfer. Hoses must be stored hanging off the floor. Issue: To prevent product contamination, all trash cans must have lids that close, and must be emptied daily. All doors inside the facility must be sealed. Parts carts must be clean and in good condition. Shop must be organized and clean. Zone 2 is adjacent to where food production occurs. If this zone is contaminated with a pathogen, there is the likelihood that Zone 1 could also become contaminated by the action of an employee or machine. Issue: To prevent product contamination, floors, walls and drains cannot be allowed to deteriorate. Issue: Regulatory inspections require 3 sets of color-coded utensils to prevent product contamination. Issue: To ensure employee safety and prevent product contamination, proper PPE must be provided and available at all times. Issue: To prevent product contamination, equipment must be in proper working order. Look for broken glass, plastic and ceramics, and make sure air wands have proper tips. Issue: To prevent cross-contamination, make sure proper controls are in place for specific allergens, including nuts and oils. Issue: All lubricants used must be food-grade and should be stored properly. Issue: Make sure all drains are operational and a pump sink is available for mop water. Cleaning chemicals should be food-grade and mixed correctly. Make sure waste management controls are in place and spot cleaning supplies are readily available. This zone comprises the entire work area where employees and machinery have direct contact with food and the product is exposed until packaged. Issue: Compromised areas around exposed food can lead to contamination.View all floors, walls and ceilings for holes, chips, flaking paint and misaligned ceiling panels. Issue: To prevent product contamination, review overhead lights for cleanliness and cracking. Verify that fixtures are on a regular cleaning schedule. Issue: To ensure compliance, as well as employee and food safety, always maintain the highest standard for personal protective equipment. Issue: To ensure employee safety and protect food from contamination, proper spill control kits must be available and accessible near the production line. Issue: To ensure food safety and quality, the proper tools for food sampling off the production line must be available at all times. 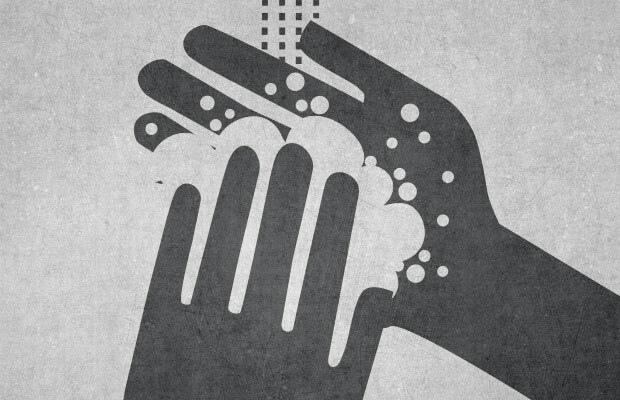 Issue: To prevent food contamination, hand wash sinks and hand sanitizer must be available and accessible to workers. Issue: To ensure employee safety and regulatory compliance, any hazards such as pinch points or hot surfaces must be identified by the proper signage. Food and beverage manufacturers are facing increasingly stringent standards for food safety from national, state and local agencies. Many of these standards for food safety have been mandated by the Global Food Safety Initiative(GFSI) and the Food Safety Modernization Act (FSMA). These standards directly impact FDA-regulated facilities, food-contact materials and logistics. The requirements to meet these standards continue to expand. To help keep up with these evolving standards, a checklist like the one above, and photo documentation can help provide the foundation for correcting problems, maintaining FSMA compliance and achieving GFSI certification. Sources: Food and Agriculture Organization of the United Nations, the American Bar Association.